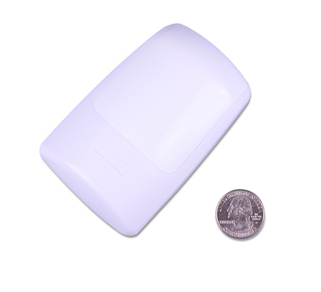 The ADT Wireless Heat Detector uses both fixed temperature and rate-of-rise sensors. 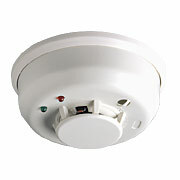 In rooms like the kitchens, garages and places where dust and smoke are present in a non-emergency situation, a heat detector device should be used instead of a smoke detector. This detector will prevent false alarms when cooking, and it will still protect you in a real fire emergency. Local smoke detectors should already be installed throughout the house, and are designed to alert you of a fire while in the home. 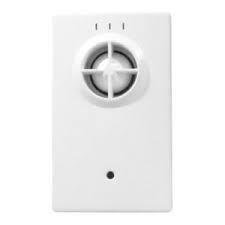 This heat detector is designed to protect your property along with those residing in the house. With ADT monitoring this detector, you can protect your home from a fire even if you are away from your house. It will trigger an alarm if it detects the fixed temperature of 135° For high. It will also alert the monitoring station if it detects a 15° F increase within one minute. Be sure to avoid heat generating devices such as ovens, heating vents, furnaces or boilers when installing your heat detector. You can mount it on the wall or ceiling. For wall mounting, make sure it’s 4-6” from the ceiling. When mounting on the ceiling, make sure it’s 4” away from any wall. Be sure to use the activation button to test it instead of testing with real heat. You can only use this detector once. 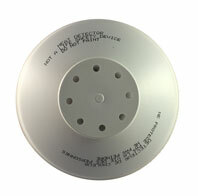 If you detach the round disk on top of the heat detector, you’ll have to replace the detector entirely. ADT’s Wireless fixed heat and rate-of-rise temperature sensor offers expanded fire detection and installation flexibility. 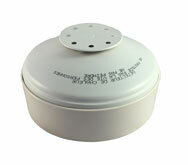 It’s ideal for hard-to-wire locations and applications that require more than smoke detection. 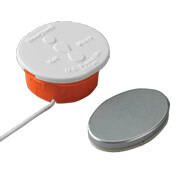 With no wires to run, it’s fast and easy to install this detector. Will the ADT Wireless Heat Detector work with your security System? 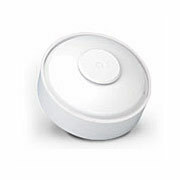 If you have a Honeywell model Vista, Safewatch, Lynx, or Quick Connect, then it will be compatible as long as you have wireless zones available. 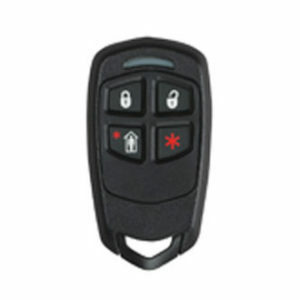 If you have a Vista or a Safewatch Pro panel, you can add this easily if you have a programming keypad. And if you only have a numeric keypad, you will need to add a programming keypad or have a technician add it since he carries a programming keypad. It’s NOT compatible with DSC Premise Pro, Impassa, or Powerseries models. If you have one of those, you will want to get the Smoke and Heat detector that is compatible with Impassas and other DSC brand panels. If you do not know what brand or model of your ADT Security System, you can either log into the ADT Pulse Portal and click on the systems tab. It will tell you or you can try to read it off of a keypad, the control panel, or even a user manual.